You open the morning paper, turn on the radio or T.V., and what do you experience? You log-in to social media and a plethora of emotions and opinions storm your field of awareness. You can eloquently remain in the peaceful sanctuary of your higher mind no matter what the world presents. John Viscount shares wisdom and practices that transcend the obstacles of our daily lives. His life and work begin with promoting the kind in humankind and these times call for more kindness. Listen in for a compassionate and loving “pep talk” for us all. John Viscount is the Founder of the Peace Entertainment Project (PEPSTAR) and Co-Founder of PeaceNow.com, which is gathering one billion signatures for a proposed United Nations Global Resolution that establishes peace departments in governments worldwide. He is also a filmmaker, playwright, composer and author of "Mind What Matters. A Pep Talk for Humanity.” John began writing as a delivery system for the helpful teachings that cured him of cluster migraine headaches that he suffered with for 16 years. Their nickname was appropriately, “suicide headaches” and The American Medical Association called these headaches one of the worst pains known to humankind. He eventually turned to spiritual teachings that helped him change the way he thought and turn his mind into an ally. Once the headaches were healed, he began writing to share the perspectives that had been so helpful to him so others could benefit. Those perspectives and teachings are featured in all his work including his book, his award-winning film, “Admissions” and his upcoming film, “The Principle" which tackles cyberbullying. 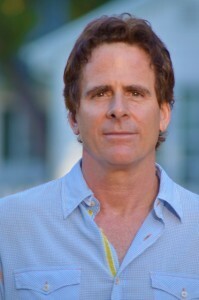 John has also created dramatic scripts which address societal challenges such as human trafficking, racism, homelessness, opioid addiction, PTSD, the global water crisis, universal free health care, climate change, the homeless children of La Paz, Bolivia, terminal illness, divorce, bereavement and teenage suicide. John also has a full slate of for-profit feature films and television series, in addition to original music he has created for these commercial intellectual properties. For more information, please contact his manager, Trish Reilly at trish@johnviscount.com. You can also visit www.johnviscount.com.